If we want to process images the first thing we need to do is to read an image into MATLAB as a variable in the workspace. What kind of variable is an image? How can we see the image inside a variable? How do we refer to to individual pixels within an image. 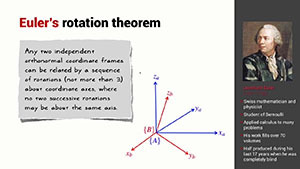 The linear algebra approach we’ve discussed is very well suited to MATLAB implementation. Let’s look at some toolbox functions that can simulate what cameras do. If you are using a more recent version of MVTB, ie. 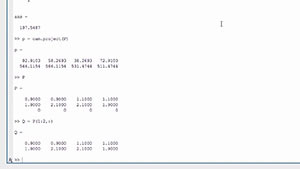 MVTB 4.x then please change>> cam.project(PW ‘Tcam’, transl(0.1, 0, 0)) to >> cam.project(PW ‘pose’, transl(0.1, 0, 0)). 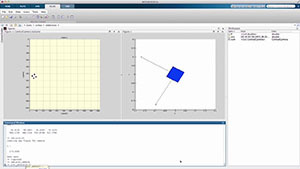 We use MATLAB and some Toolbox functions to compute an homography and also apply it. 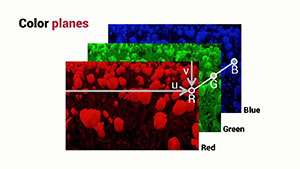 Let’s learn how to import a color image into MATLAB and see how the data is organized as a matrix with three dimensions. 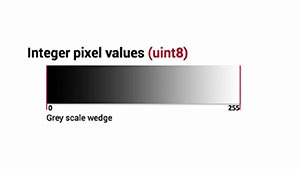 Images contain many pixels and the normal way to process them is with nested for loops that index each pixel in turn. This is slow and somewhat cumbersome to write. 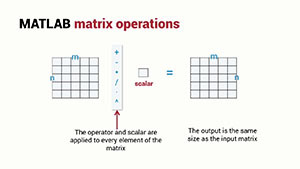 MATLAB has a facility called vectorization that allows us to perform complex matrix operations without any loops. Digital images are everywhere: in your phone, on your hard drive, on the internet. We can access still pictures, movies and streams from live cameras all around the world. 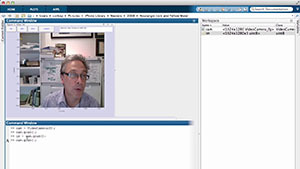 Let’s talk about digital images and how we can get them into the MATLAB environment where we can work on them. 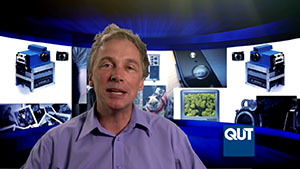 Most computers today have a built-in camera. 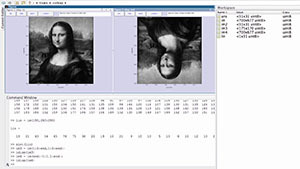 Let’s look at how we can grab images directly from such a camera and put them in the MATLAB workspace. 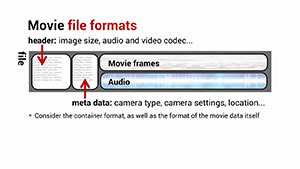 We store movies in files, typically in an MPEG format. Let’s look at what’s inside one of those movie files, and how we can grab a frame from a movie as an image and put it into the MATLAB workspace.